What do I really do each and every Friday? Fridays are a special day, reserved for the much needed deep cleaning I never got around to during the week like bathrooms, mopping, and actually folding and putting away the 5-6 loads of laundry I washed on Wednesday. To me a clean house really is a happy house and even though it never stays clean for long, it helps me have a more relaxing weekend. What do you typically do on Friday's before the fun begins? I hate it when my house is a mess... I can't do any work if it's cluttered! 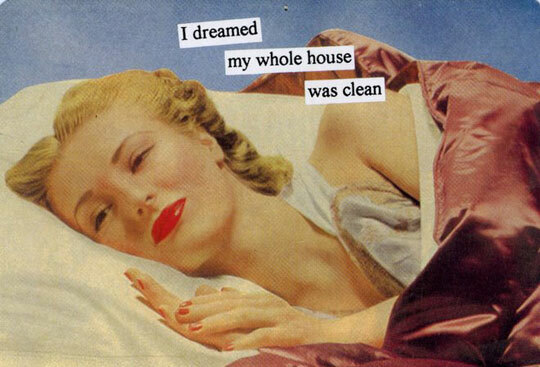 Friday is the perfect day for house cleaning. Good luck! I'm the same way! Especially since lately we've been having company for the weekend or we've been going out of town, so I like to do my cleaning on Fridays. I LOVE having a clean home - it's so much more enjoyable to be in! me too! I'm happy it takes you a couple days to actually complete the finishing touches on your laundry. I've been living out of my clean clothes basket for a week. I hated helping my mom clean when I was younger but appreciate that she taught me HOW to now that I'm older and have my own place! We were all sick this Friday. NO FUN. But your post reminded me of this video I just saw, pretty funny!